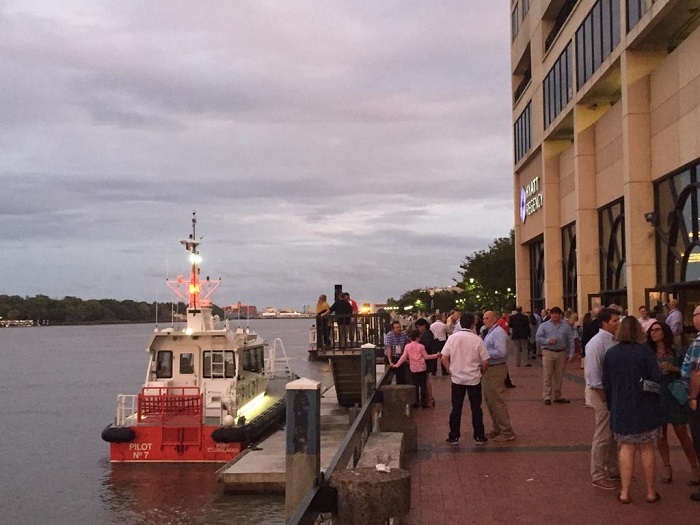 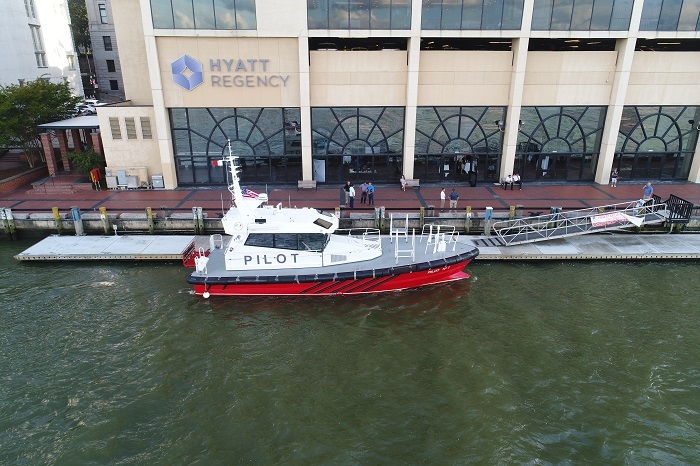 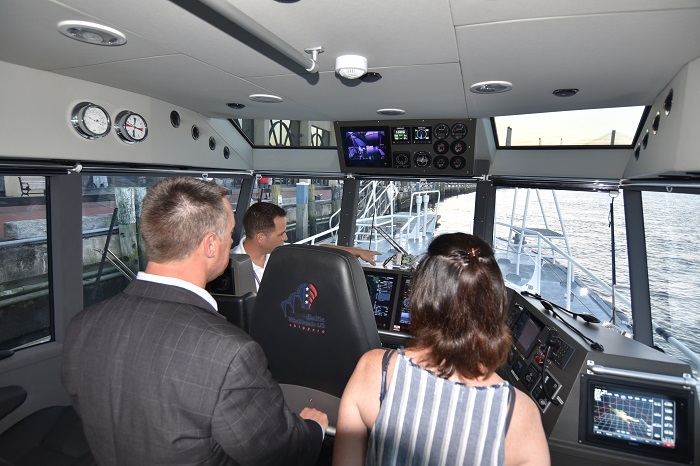 Baltic Workboats US attended the 2018 APA convention in Savannah, GA with their 1st vessel delivered to the US, “Pilot No 7”. 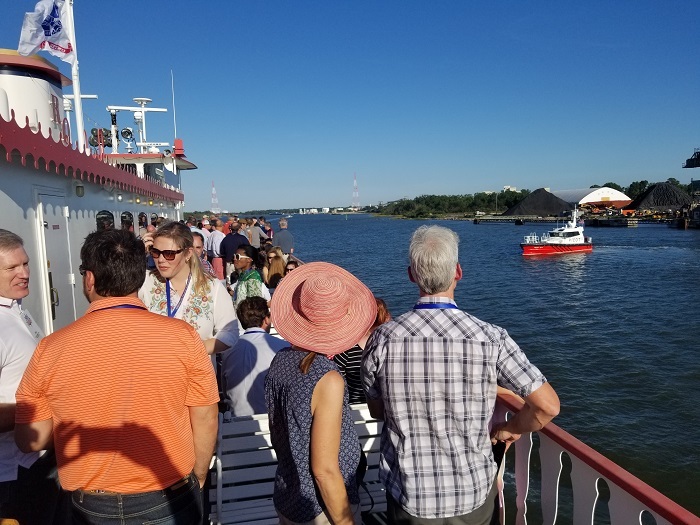 This event was the perfect opportunity for the company to showcase their innovative wave piercing technology to the Pilots in the US. 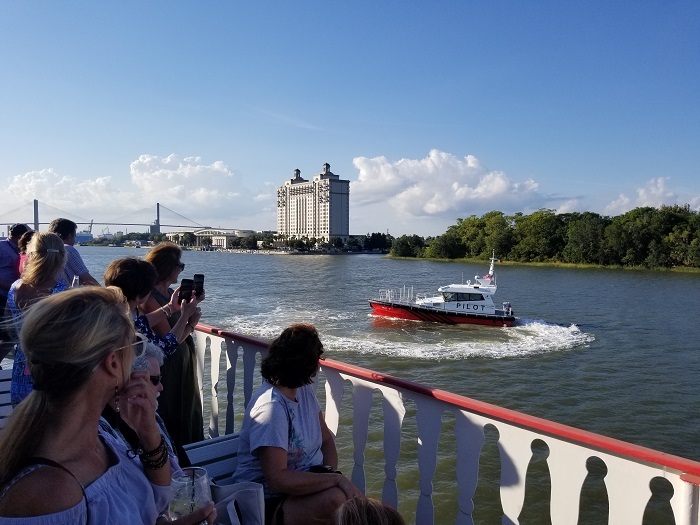 As a main event sponsor, Baltic Workboats was able to address the APA members on the many health benefits afforded by our vessels. 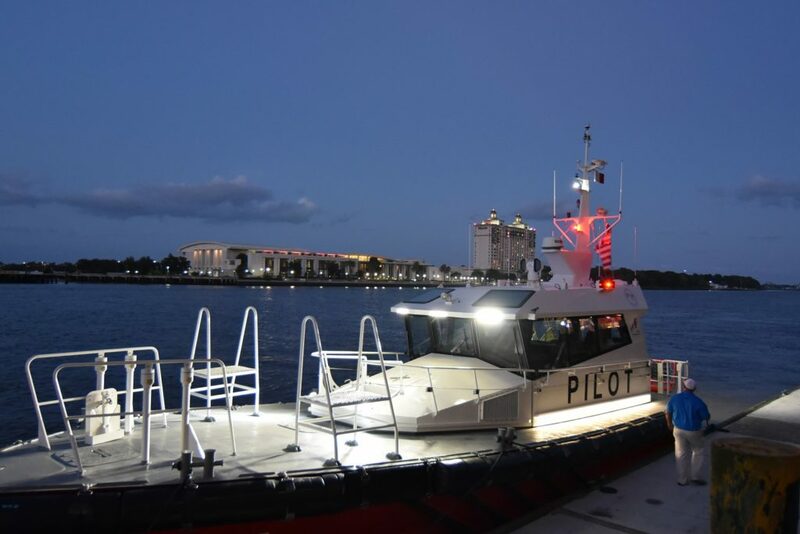 Our industry-leading pilot boats feature ultra-low noise and vibration levels which help to reduce occupant fatigue and eliminate the long-term health risks attributed to exposure to noise and vibration. 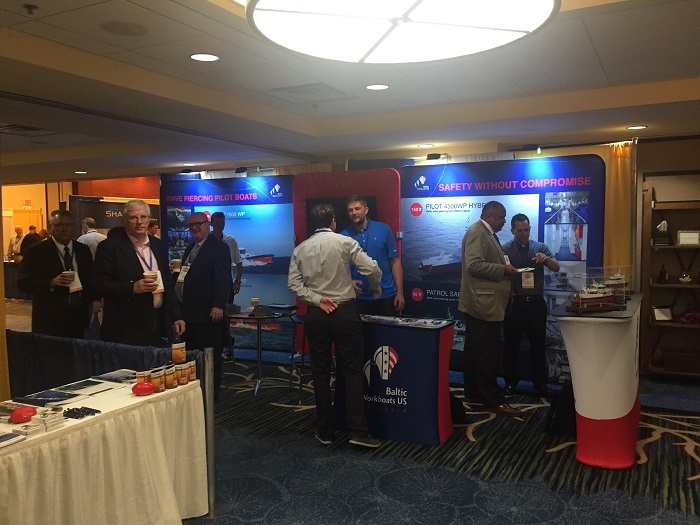 We had a great time at the convention and want to thank all those who spent time with us throughout the week. 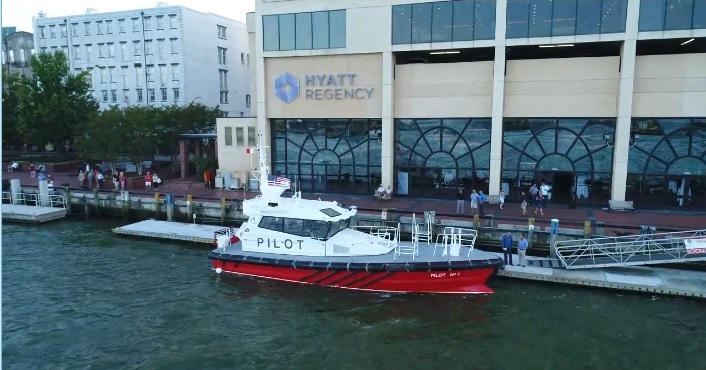 To find out more about the pilot boat we had at the show click here. 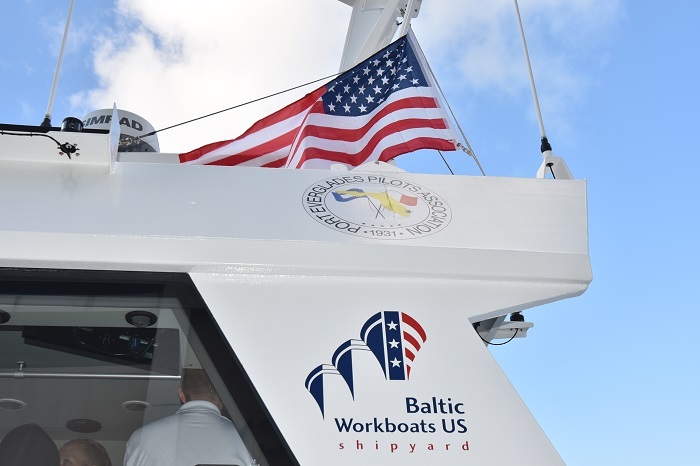 The Baltic Workboats US team manning the booth at the APA Convention. 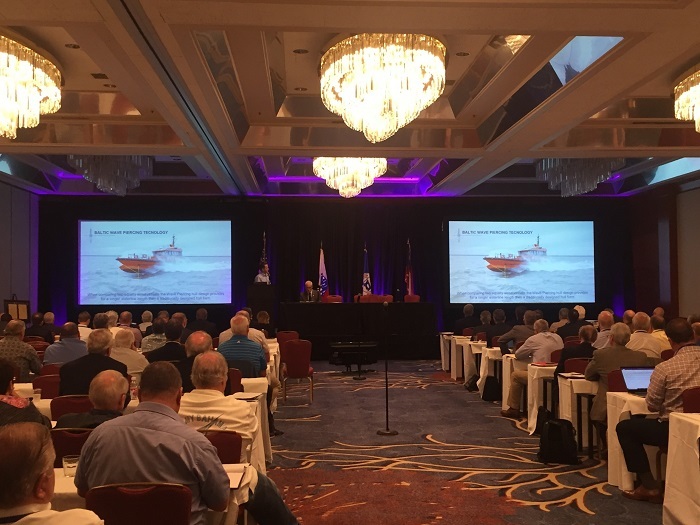 Captain Carl Mahler addressing the APA members on the benefits of Baltic Workboats wave piercing technology. 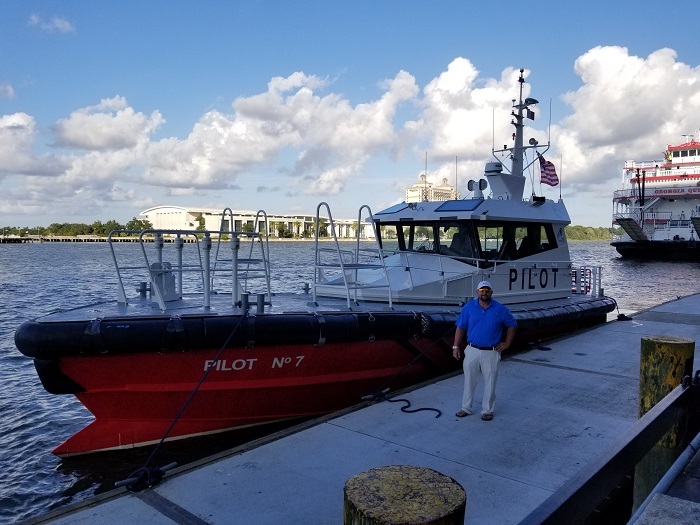 Captain Noah Henschel a boatman for the Port Everglades Pilots Association, owners of Pilot No 7, proudly standing next to his favorite pilot boat. 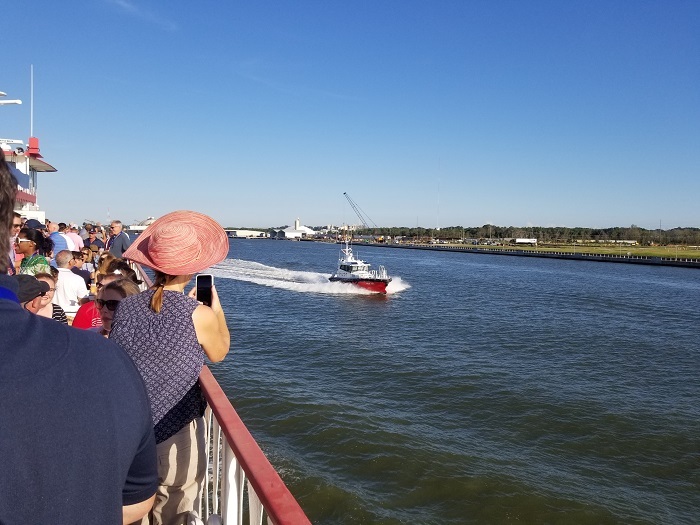 Baltic Workboats “Pilot No 7” turning heads during the cruise to Fort Jackson. 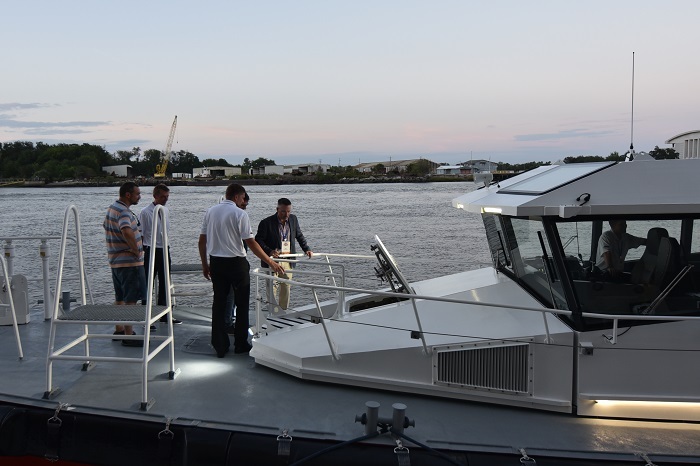 The Baltic Workboats US team talking with pilots about the removable engine room hatch which makes engine repowers easy. 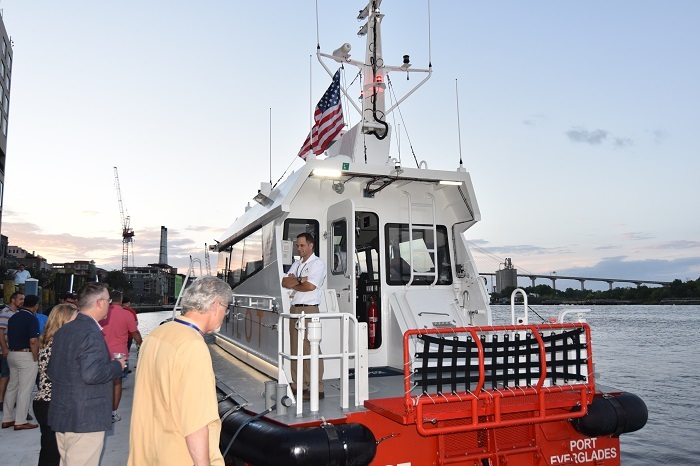 Captain Henschel preparing to bring “Pilot No 7” back to her berth for the night.